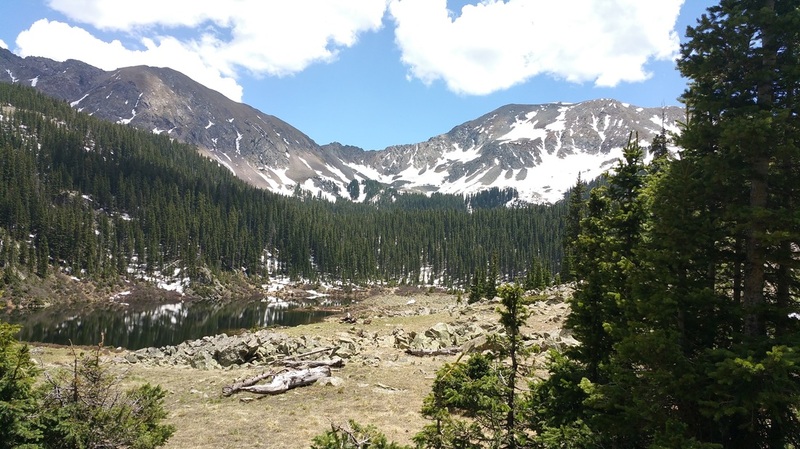 The hike from Taos Ski Valley to Williams Lake was Austin's favorite hike in New Mexico. It was the last one he wanted to do before heading off for college back in summer of 2012. So, we came back today and hiked it. Still snow on the trail and clouds moving in but it ended up being a nice hike. Warm and sunny. We sat up on a rock outcropping looking over the lake and laughing and crying over Austin's stories and how much we continue to miss him. We renewed his picture up on the rim so that at least a photo of him is always present at the lake. We drank some toasts of wine and poured the last bit on the ground for him in the Spanish style before heading back down. Back in the spring of this year, we launched TeamAustin for BOINC (Berkeley Open Infrastructure for Network Computing). This Berkeley initiative allows people to donate computer time on home and business computers to scientific research. 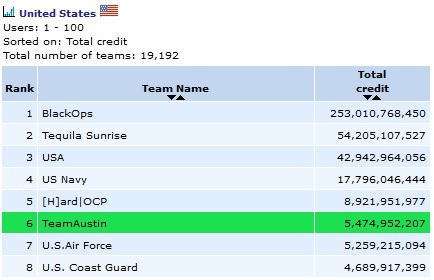 We are happy to announce that TeamAustin is now ranked 6th in the USA for total credits earned. His team is ranked above every university, corporation as well as three of the four branches of the military. And it's not just in the USA. 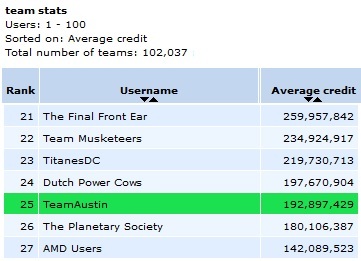 TeamAustin is now ranked 25th in the world in the rate of credit earned per day. If you want to join us in donating computer time to TeamAustin check out the TeamAustin page. I worked with Austin for 3 years at the Albuquerque Academy. I was inspired at his memorial service to do something in his memory. So I decided to take Austin's love of science, kids, and technology and pay it forward to my fifth grade gifted students at Carlos Rey. Nine students from our school learned about robotics through the VexIQ program and won trophies at the tournament at UNM! Our school's trophy case was empty but now there are trophies and photos of our Robo Lobo robotics team. I shared with them about this remarkable young man in whose memory we were playing and how they too could become successful college students in STEM areas. One boy was so excited since he had never thought about college as a real possibility, even though he is extraordinarily gifted in many areas! I have never done robotics before, but knew how pleased Austin would be to watch me struggle and do this anyway! He will always be missed, but when I see a spark in my students' eyes, I see a little bit of his spirit still! Feeling exhausted from grad interviews, I was tempted to spend a lackadaisical day off between courting schools; just sleeping in the snazzy San Francisco hotel, ordering room service, and lazily reading sounded like heaven. Then nudged by Austin, the night before I decided I would take an adventure. What followed was the most wonderful day of the quarter. Everyone at UCSF told me that I absolutely should see Muir woods, the closest Redwood Forest- with this destination firmly in mind, I set off for the buses… only to realize that the next one wouldn’t come for four hours (oops). 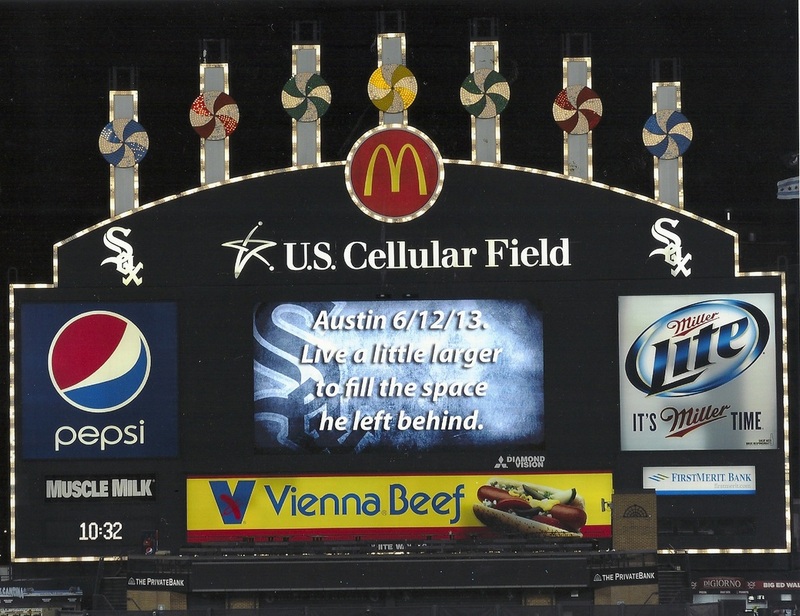 Fine- what would Austin do? Obviously, it would be to take 4-5 hours to walk there! With this rudimentary “plan” in mind, I spent an enjoyable hour getting lost in SF, wandering up and down hills, stopping at a fruit market, taking in the sights of the city and bay… it was a beautiful day to walk and soak in a different place. Finally arriving at the Northern part of the city, I noticed that I could take a ferry across… or rent a bike. A few minutes later I was whizzing along, joining the mass of tourists and muscled athletes crowding the path and roads. Then the Golden Gate Bridge- first, not golden (reddish! ), second, much larger than expected, third, overlooking such beautiful hills; breathtaking terrain, absolutely incredible. After much “I-live-in-Illinois-this-is-bloody-hilly” effort, I made it up the narrow, winding roads coating the mountains that ensconced Muir Woods’s valley- biking down into the valley, descending into the weighty realm of the Redwood forest, with the wind whipping away-- I hadn’t felt this alive in ages. And the Redwoods- behemoths, staggeringly beautiful and grandiose, humbling to think of my snapshot of time, theirs, all of ours. Thanks, Austin. Best day of my year. I know you would have eagerly walked the 20 miles to the woods and then happily hiked there, too. Q: Describe the world you come from — for example, your family, community or school — and tell us how your world has shaped your dreams and aspirations. A: For as long as I can remember, the people and the environments that have surrounded me have been shaping me as a student and as a person. In particular, I have been made academically inclined: my mother is a university professor who conducts scientific research, my school is a college preparatory private institution, and my friends are all lovers of learning. But these influences have helped to determine not only my tangible goals, such as future careers, but also my intangible, philosophical aspirations. At this point in my life, I plan to do more or less what my mother does; she leads a lab that investigates pertinent issues in the biological sciences. While my interests have generally leaned more towards chemistry, the spirit remains: to perform pure scientific inquiry, expanding collective human knowledge in the process, while ensuring that the work can truly alter the lives of people for the better. More than anything else, in all that I do, I seek to gain a greater understanding of the world, and I think that science is a wonderful way to realize that objective. My school and the community associated with it have also been enormously important in shaping me. That same spirit of inquiry was manifested in many of my teachers and classmates, who, unsurprisingly, quickly became my closest friends. They were, and remain, always eager to learn even when the subject is not one towards which they naturally gravitate. I have experienced the same craving for knowledge not only in science and math courses but also in multiple classes that would not obviously appeal to me, namely English and philosophy. Both offer the ability to analyze and synthesize perspectives on human nature and civilization, and raise fundamental questions that I now regularly consider. In that way, I am able to more fully understand the world because I can entertain multiple and varied points of view. I now aim to understand as many of these perspectives as I can, with the dream of comprehending as many of the facets of the world as is possible. Clearly, these external influences have combined to change me in multiple ways. They have not only produced a rewarding career as a goal, but they have altered how I view life itself: as a quest for knowledge and for understanding. My family, my school, and my friends will have left an indelible mark on me, one that I will undoubtedly cherish for the rest of my life. Q: Tell us about a personal quality, talent, accomplishment, contribution or experience that is important to you. What about this quality or accomplishment makes you proud, and how does it relate to the person you are? A: For me, Science Bowl is not just an activity. First, it has opened my eyes to other areas of science that I would not have studied otherwise, and has given me a solid knowledge base in subjects I would only learn later in school. Second, it has taught me a tremendous amount in more significant ways. As a member of a team that works extremely well together, as is necessary to have success on a national level, I have learned the value of both teamwork and individual effort, and have built strong friendships with my teammates and fellow participants. Finally, it is exceptionally fun. Perhaps the enjoyment I derive from Science Bowl is due to my closest friends, who are all either teammates or competitors. 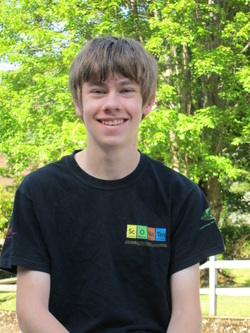 Perhaps it is due to the thrill of making the key buzz in closely contested matches, my passion for learning science, or even the free trip to Washington, D.C., for the national competition. Most likely, though, it is due to a combination all of these factors. Otherwise, I would find it difficult to explain my sitting awake on a Friday night four months from the regional competition and wishing that it took place the next day. I would also be hard-pressed to explain that my team and I have sleepovers at my house that involve answering sample questions and studying concepts we have not yet covered in class. And without that level of excitement about the competition, I certainly would not adopt my usual pose during a match: sitting perched on the very front of the chair and leaning forward over the table, hanging upon the moderator’s every word, with one hand scribbling furiously with a pencil and the other hovering over the buzzer. My teammates all share that intensity, passion, and dedication, and we have used those attributes to advance to the national level four times. In 2006, when we were in eighth grade and in our final year of the middle school competition, we found ourselves in the championship round, pitted against the previous year’s surprising winners. We, however, could not recreate their impressive performance from the previous year and lost to them narrowly. Ultimately, though, the national competition is less about your placement than it is about the experience of simply being there: the learning, the friendships, and the fun. I have grown even closer to my teammates as we immerse ourselves in the exciting atmosphere of a competition we all love. But the formation of new or strengthened bonds is not limited to those you know. In our first year at National Science Bowl in tenth grade, we befriended a dynamic and outgoing team, and conversed during our downtime about topics far more varied than the one at hand, indicating that our connection was deeper than that of mere acquaintances. We happened to compete against them, and lost, but we still watched excitedly as they, despite being unknown and relatively young, proceeded to handily defeat several established teams to place second. We all still regularly keep in touch. Science Bowl is something that truly means a lot to me, and on multiple levels. My strong interest in science and my love for this competition each feed off the other, which will probably influence my choice of career. The opportunity those two passions give me to attend the national event is valuable for the friendships it builds and for the sheer enjoyment of it. It had also taught me a tremendous amount, both in science and in life. For me, it is an integral part of being a student with a love of science. For the past few years, I have been relatively sure about a future career as a research scientist, preferably as a university professor. But that does not mean that I want to be educated solely as a scientist. As much as I like to learn about science, my intellectual curiosity surpasses those disciplines and extends into all subjects. As I see it, education, particularly at the undergraduate level, should have one fundamental aim: to increase students’ understanding of the world. I believe that the most fulfilling, and therefore happiest, life is one that seeks and gains that understanding, thereby furthering human knowledge. Scientific research, with its essential nature of inquiry, fits wonderfully into that vision, but on a personal level, being educated to do and think about solely research is insufficient. Instead, one needs a more philosophical understanding of the world as well, one that allows a deeper appreciation for it and its complexity. I truly do love science. When I was much younger, a very perceptive friend gave me as a birthday gift a book detailing properties, uses, and odd facts about each of the elements. I was absolutely captivated; my father recalls that I would emerge from my room to share some particularly curious fact, and then quickly disappear to read more. Later, I thoroughly enjoyed the Cartoon Guides to chemistry, physics, and genetics, and for much more than their comic side; I was particularly enthralled by the idea of virtual photons. Since then, my science class, whether it be chemistry, biology, or physics, has been my favorite course each year, regardless of whether the nature of the material is more conceptual (biology) or more problem-solving (physics); chemistry combines both categories, which may well be why it remains my favorite discipline. In college, I most certainly look forward to delving deeply into each area and discovering which one I find most enjoyable. Even within the sciences, my inclination to explore varied topics manifests itself. Naturally, that inquisitiveness extends to just about any field of study, from mathematics to languages to literature. Such a desire to sample as many subjects as possible fits well into the goal of maximum understanding in which I believe; thus, my idea of a good education is a broad one, in order to gain knowledge of as many differing perspectives as possible. Only then can a person be considered truly well-educated, because deeply understanding the world requires the ability to entertain multiple viewpoints, which are each revealed through study of a different field. In short, I hope to study a wide variety of subjects while still receiving the more detailed education I need for a career in science. That is how it must be, for education should not exist only to give vocational training; rather, it must serve its truer purpose of promoting understanding. Q: Write an essay in which you tell us about someone who has made an impact on your life and explain how and why this person is important to you. A: My mother has shaped both me and my life in many different ways. Of course, as all mothers do, she has done much to make me who I am today by raising me well, but she is far more important to me than simply as a caregiver. She always treats others, including me, with kindness and respect, and so has given me an example for how to interact with people. She has also provided me with a career that, at this point in my life, I plan to emulate. My mother is a professor at a university, but is more appropriately described as a research scientist: she leads a lab that investigates pertinent issues in the biological sciences, from the effects of arsenic on the activity of certain enzymes to treatments for cervical cancer. While my interests have generally leaned more towards chemistry, the spirit remains: to perform pure scientific inquiry, expanding collective human knowledge in the process, while ensuring that the work can truly alter the lives of people for the better. More than anything else, in all that I do, I seek to gain a greater understanding of the world, and I think that science is a wonderful way in which to realize that objective. Even if academia turns out not to appeal to me, I think that working for a chemical or a pharmaceutical company would fulfill those aims. In short, my mother introduced me to science, letting me learn why it is such a vital pursuit and giving me an excellent possible career while showing that work does not have to be unsatisfying or tedious. It is also largely from her that I know the value of hard work. With federal funding for research like hers currently so limited, she must polish her grants to perfection in order to secure the money that she needs in order to conduct her research and to keep employed all of the students and technicians who work in her lab. As a result, she not only works with singular focus from eight to five, but also uses many nights and weekends to make certain that her work is as good as it can be. Despite that devotion, she is always dismayed to find that she cannot always place family above work. She loves our company and does as much as possible to keep her time with us free. She ensures that we eat our meals together, as a family, and suggests weekend activities not only so that we enjoy ourselves but also so that we are reminded of the importance of spending time together. In that way, she has taught me how to be a good parent and how to uphold all of my responsibilities simultaneously. But on the most fundamental and important level, she, by being herself, has shown me how to be a good person. She never treats anybody with disrespect or unkindness and at the same time is never false in her compassion, but she still knows when it is appropriate to inform someone directly of when they have been discourteous or simply mean. And yet, she always does so in a constructive, informative manner, reinforcing why to change that behavior and not simply punishing it. She not only has been an example for me as to how to act but has also taught me directly, always with my interest at heart. Q: Choose an issue of importance to you—the issue could be personal, school related, local, political, or international in scope—and write an essay in which you explain the significance of that issue to yourself, your family, your community, or your generation. A: From my perspective, history has not yet seen a perfect system of government. If the role of government is to facilitate the living of a happy life for as many of its citizens as possible, then we have not yet developed one that fully serves its purpose. If humankind wants to live as well, as happily, as possible, then it is vital to discover how to construct a society that achieves that goal, and to some extent, government can do just that. It may be true that such a society is unattainable. There may simply be too many people in the world to be supplied with the world’s limited and diminishing resources: eventually, land that is currently arable will be left with no remaining topsoil, leaving the finite food supply even smaller for an ever-growing world population, and, of course, energy resources will become depleted unless we find alternatives to fossil fuels. And, perhaps more importantly, a large component of human happiness is the conscious awareness of it. As a result, when born into conditions of relative affluence, we take for granted all of the things that we use every day but that the majority of the world’s population could never dream of having, such as cars, computers, or even pre-prepared food. So, in many ways, such luxuries do not make us any happier. However, these problems cannot be solved by a re-imagining of what society is or what government should do. People would not warm to the idea that they would be better off without the things that they accept as part of everyday life, and clearly, a drastic reduction of the world’s population cannot be achieved quickly or easily. Bearing in mind these issues, it is necessary to consider what type of government can best meet the needs of the people. Given the vast number of issues with which we are beset today in the United States, from healthcare reform to enormous income inequality to the inability to halt climate change, representative democracy seems not to be the solution. Inevitably, people vote for candidates who most appeal to their immediate self-interest or simple ideals – those who promise tax cuts, an stimulation of the local job market, the elimination of government bureaucracy – but even when these pledged changes actually are to the benefit of the people, as tax cuts often are not, the politicians tends not to keep their promises. Furthermore, once in office, their self-interest often makes them susceptible to the work of lobbyists, defeating the purpose of representative democracy. And as the role of our government currently stands, with limited involvement in the free market, there is no easy way to persuade businesses to cease destructive practices, such as pollution of air and water or the depletion of scarce resources, especially when legislators are under the influence of lobbyists whose job it is to convince them not to do so. With representative democracy inherently susceptible to corruption, and pure democracy untenable due to the sheer number of people who would have to be involved, perhaps an oligarchy or a dictatorship would work to combat the issues facing rule by the people. In my opinion, an omniscient and benevolent ruler would, in fact, be the best way to ensure the happiness of the people, because he or she would be able to weigh the benefit to the majority against the detriment to the minority, and would be able to base decisions on their ramifications for the future. Unfortunately, as history has shown us time and time again – with Hitler being the most visible example – absolute power corrupts absolutely. No human is omniscient, nor is any immune to the traps of self-interest. Kings tend to become obsessed with their own comfort, building palaces and ignoring the plight of poorer classes, and dictators often yield to the temptations of power, fighting wars that cannot be won. Where do these lessons of history and of the present leave us? Nations fight wars, which are good for nobody, but ethnic strife is unavoidable and would plague a single, worldwide government. So the only place to turn in order to avoid both problems is to live in isolated tribes, away from the demands of modern society. Clearly, that is an unrealistic scenario. So the world, if its collective ingenuity cannot invent a revolutionary system of government that would solve all current problems, must settle for adopting a current system and, perhaps, modifying it in order to alleviate some of its critical issues. Representative democracy seems to be the best candidate for that, as it has the greatest capacity to moderate the individual interests of the people of whom it is composed. Ultimately, it is up to the people of the world and their leaders to identify what works best, and then to apply it. It may not be ideal, given that humankind may have grown past its natural limitations, but it is vital in order to ensure what is most important of all: that the greatest number of people be happiest. A: From an early age, I have been keenly interested in the sciences. When I was ten or eleven years old, a friend gave me as a birthday present a book on the elements, called “Nature’s Building Blocks,” that completely captivated me; my father tells me that I would emerge from my room to announce some interesting fact, such as the shriek that iridium emits when bent, and then immediately retreat to learn something more. I found the Cartoon Guides to Chemistry, Physics, and Genetics, and loved them. I accumulated more and more science-related books, and was riveted by each. Science classes in middle and high school were always my favorites, and I remain undecided as to which of the three disciplines I have enjoyed most, because I love all of them. My devoted participation and love for Science Bowl and Science Olympiad have further strengthened my interest in science in general. My mother is a research scientist, and at this point in my life, I hope to do more or less the same with regard to my career. Up to this point, chemistry has interested me the most, but in studying biochemistry and cell biology, I could incorporate two of my favorite disciplines, and what I have learned in that area from my classes has fascinated me. In the School of Natural Sciences, I would be able to explore several smaller subsets of biology, chemistry, and physics, as well as the intersections between them, and see which one most piques my interest and would provide me with the most interesting career. The spirit of inquiry, as a path towards better understanding the world, has always been in my nature, and if I can spend my life doing so, then I believe that I will be very fulfilled. Q: How does the University of Chicago, as you know it now, satisfy your desire for a particular kind of learning, community, and future? Please address with some specificity your own wishes and how they relate to Chicago. 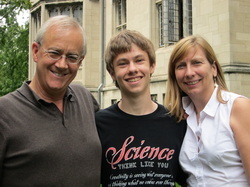 A: As I understand it, the University of Chicago both values and fosters intellectualism and the spirit of inquiry. My desire to attend is multifaceted, and includes not only the quality of the education that I would receive but also the impact that the education would have on my life and career and the people whom I would meet and befriend during those four years. I view myself as a lover of learning, and a liberal arts education is the ideal way in which to fulfill that craving. But the University of Chicago would provide more than just a broad education; the learning environment holds much more importance to me. Having been keenly interested in science from a young age, likely due in part to my mother’s career as a research scientist, I feel motivated by a desire to know, or, more to the point, to understand. Scientific research fits such a desire beautifully, and I hope that it can be my career. Obviously, I want my education in science to be strong, and I would love to be able to get some experience doing research as an undergraduate student; the University of Chicago definitely fulfills both criteria. However, I have lately come to realize that I want to understand as much of the world as possible, and from many different perspectives. As I see it, undergraduate education is the best opportunity to gain such an understanding, from a broad array of classes in which the environment is stimulating and the material captivating. Ideally, I would constantly refer, even much later in life, to what I learned as a college student, from economics to psychology to philosophy. For such an education, I see no better institution to attend. That type of intellectually stimulating environment has the additional benefit of attracting the people with whom I love to spend time. The student body would be not only highly intelligent but also supportive and fun, according to my own experiences with such a group of friends in high school. Four years of life should not be spent solely by toiling away at a mountain of assignments, and I believe that I would derive a great amount of enjoyment simply from intelligent conversations at lunch or in the dormitories. A student once responded to the public image of the school – where “fun comes to die” – by stating that those who attend it simply have a different conception of what is fun for them, and I believe that I am one of those people. Q: Would you please tell us about a few of your favorite books, poems, authors, films, plays, pieces of music, musicians, performers, paintings, artists, magazines, or newspapers? Feel free to touch on one, some, or all of the categories listed, or add a category of your own. A: Books elucidating the ways in which people think and the ways in which the world works have always appealed to me. “Predictably Irrational,” by Dan Ariely, is the best example that I have read of that kind of writing, and it fascinated me; I could scarcely put it down until I had finished it. Leonard Mlodinow’s “The Drunkard’s Walk,” and all of Malcolm Gladwell’s books, too, pique my interest in the same way. And when I was younger, I loved the Cartoon Guides to Physics, Chemistry, and Genetics, as well as John Emsley’s “Nature’s Building Blocks,” all of Joe Schwarcz’s books, and many more, for introducing me to the wonderment of science. In the less “educational” realm, I enjoyed both “The Perfect Storm” and “Isaac’s Storm,” having long been interested in weather, and Bill Bryson’s humorous books have always entertained me. Currently, I am engrossed in Stefan Fatsis’ “Word Freak,” a book detailing the expert-level competitive play of my favorite game, Scrabble. I very rarely listen to music, as only classical pieces have ever appealed to me, and I have never felt compelled to listen using a portable device during the day. Perhaps the reason is that I constantly have those same pieces stuck in my head! I have found that the works that I have played in orchestra class are the ones that I like most, presumably because I don’t fully appreciate a piece when I hear it for the first time. My favorites include Barber’s and Albinoni’s (or, rather, Giazotto’s) Adagios, Grieg’s Holberg Suite, and Dvorak’s and Tchaikovsky’s Serenades for Strings. That list includes several slow pieces and movements, and for reasons that I cannot explain, all of those are in G minor. Clearly, something about that key touches me much more deeply than does any other, but because music is so inscrutable because our enjoyment of it traces back through our evolution and into our psychology, I may never understand why I so love such music. Q: Essay Option 5. In the spirit of adventurous inquiry, pose a question of your own. If your prompt is original and thoughtful, then you should have little trouble writing a great essay. Draw on your best qualities as a writer, thinker, visionary, social critic, sage, citizen of the world, or future citizen of the University of Chicago; take a little risk and have fun. A: People are often perceived as acting “irrationally,” as they procrastinate in completing assignments, build an enormous credit card debt, or lose their temper and act in a way that they will later regret. But is such behavior irrational? What, in fact, is rationality? Would our world be better off if we all acted in accordance with set goals, and left behind the temptations of the moment? If so, given the seemingly innate inability of humans to see beyond the present and its associated emotions, is such behavior even attainable? Determining the rationality of a given action is not as simple as it might seem. In my view, we should act in such a way as to ensure our own greatest happiness. Making progress towards a tangible goal can be satisfying in itself, but whether or not the goal itself makes one happy should be the primary factor to consider with regard to rational actions. Often, we misperceive what will make us happy, and perhaps the feeling that we are acting contrary to our interests as we work toward a goal in itself makes us less happy, as well. Consequently, determining what is rational must be evaluated based not on the tangible result of the action, but rather on whether that result does, in fact, make us happier. However, I believe that we are not always able to predict what makes ourselves happy, nor are we consistently able to look past the present; enjoyment in a given moment is difficult to surrender in favor of toil that will eventually give a sense of fulfillment when a goal is reached. Illustrations of the principle of greatest overall happiness abound. As I see it, people are often less happy when they act rationally, because they constantly miss opportunities to take advantage of what would make them happier in the moment. For example, much of the population of the United States today desires junk food, and obtains it accordingly. Those people tend to develop health problems later in life, which adversely impact the sense of well-being that is valuable to us and which shorten their lives. Given that a balanced diet will counter those problems, and yet will produce cravings that are ultimately frustrated assuming that they do not deviate from it, I think that people have good reason to satisfy their cravings and thereby to act “irrationally.” Evidence for that is the staggering percentage of attempted diet plans that fail because of the unhappiness caused by the deprivation from the satisfied desires to which people are accustomed. Similarly, rationality dictates that skydiving, given the inherent risks, is simply too dangerous. But the adrenaline surge and the excitement make skydivers extremely happy, and because elderly people commonly say when they reflect on their lives that they wish that they had taken more risks, it seems probable that being adventurous brings fulfillment, which can be interpreted as sustained happiness. Furthermore, we tend to misjudge what does make us happy. A nearly universal aspiration is to attain greater material wealth. And yet it has been shown that the link between prosperity and happiness is tenuous, at best. We tend to take for granted all that we have at a given time, and are pleased only when we acquire more. Eventually, we become desensitized to all of what we have accumulated and become bored with mundane possessions. And, perhaps more importantly, the pursuit of wealth tends to distract from the basic pleasures of life, such as spending time with family. As a result, even this seemingly very rational pursuit may be disadvantageous for the person who is tempted by it. Based upon these considerations, rationality should be redefined as acting in accordance with the principle of maximum individual real happiness. That is, societal considerations should be set aside because people will only reliably act for the betterment of society when it also increases their happiness, whether through tangible gain or through the satisfaction of improving the lives of others. Also, the resulting happiness must be evaluated from an emotional, internal perspective, and not from the standpoint of “objective” happiness: a person may do things and be the object of actions that "should" increase their level of satisfaction or fulfillment, but if they do not, as a consequence of the temperamental nature of human psychology, then they are worthless. So it is that what is traditionally considered irrational can actually be quite sensible, and referring to such actions as rational would be perfectly justified, since being happy is all that truly matters. A: Not having experienced any special hardships or distinct cultural traditions, I believe that my greatest contribution to Rice’s academic and residential systems would be my worldview, philosophy, and spirit of inquiry. In short, to me, each person becomes happier and more fulfilled when he or she attains a greater and broader understanding of the world. As I see it, education, particularly at the undergraduate level, should have one fundamental aim: to increase students’ understanding of the world. I believe that each person should be educated in a variety of fields, regardless of his or her career goals, because the enrichment to one’s life that can be gained in that way is immensely valuable. In my view, the most fulfilling, and therefore happiest, life is one that seeks and gains understanding, thereby furthering human knowledge. Instead, one needs a more philosophical understanding of the world as well, one that allows a deeper appreciation for it and its complexity. There is sheer joy in seeing a flower and not only appreciating its beauty but also understanding its reasons for existing as it does (which are evolutionary), its biological form and significance, and the psychological impact that its sight and smell have had on people and on society. For me, scientific research, with its essential nature of inquiry, fits wonderfully into that vision, but being educated to do and to think about solely research is insufficient. I truly do love science, because it not only explains the workings of the world but also satisfies my desire for inquiry; I have always been a curious person, eager to know more about practically anything, and the sciences allow the gift of knowledge to be given to others while also fulfilling the personal craving for it. For the past few years, I have been relatively sure about a future career as a research scientist, preferably as a university professor. But that does not mean that I want to be educated solely as a scientist. As much as I like to learn about science, my intellectual curiosity surpasses those disciplines and extends into all subjects. And even within the sciences, my inclination to explore varied topics manifests itself. Naturally, that inquisitiveness extends to just about any field of study, from mathematics to languages to literature. I took a philosophy course and wished that it lasted longer than a semester, because the course left so many perspectives untouched as a result of its limited time. Such a desire to sample as many subjects as possible fits well into the goal of maximum understanding in which I believe; thus, my idea of a good education is a broad one, in order to gain knowledge of as many differing perspectives as possible. Only then can a person be considered truly well-educated, because deeply understanding the world requires the ability to entertain multiple viewpoints, which are each revealed through study of a different field. As I see it, one can not only utilize what he or she learns in classes to better understand the world, but also can take away from those classes the ability to understand, and the ability to learn to understand. I resolve to do both; otherwise, I will have failed as a student. Q: What motivated you to apply to Rice University? Please be specific and limit your response to 200 words. A: Rice, from what I have read in guidebooks and heard from friends who currently attend it, offers very strong academics, especially in the sciences and engineering, while also maintaining a very high quality of life. I want to have a strong liberal arts education while also being well-prepared for a career in the sciences and hopefully earning the opportunity to conduct some research as an undergraduate, and Rice provides all three.